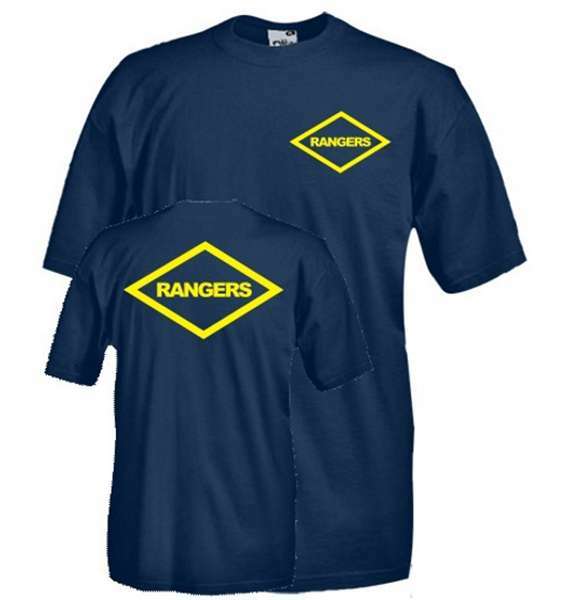 Rangers T-shirt, print on front, category: military. Default Color: as picture. 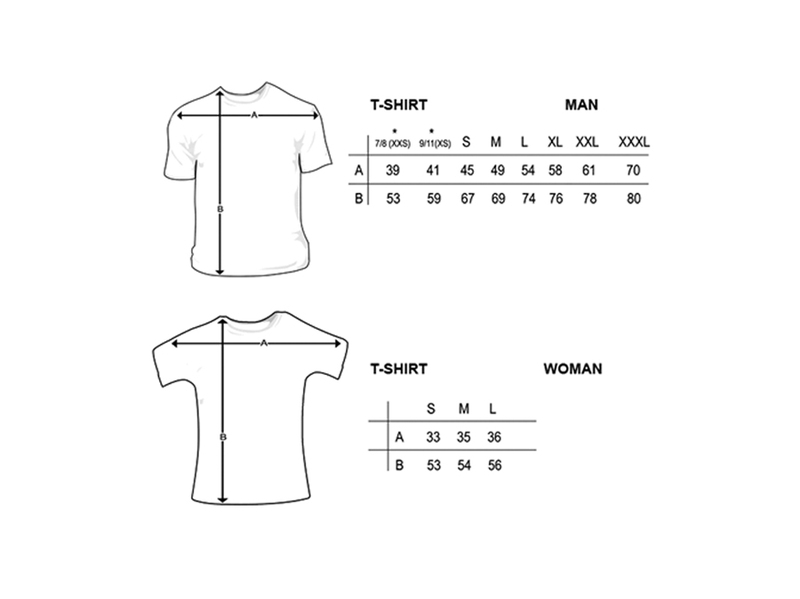 Brand: Fruit of the Loom/Gildan, model: Valueweight, round-neck t-shirt, 100% Cotton, white: 160 grm/2, coloured: 165gr m/2, cotton/lycra rib neck. Available colors for men's tee: White, Blue, Navy, Black, Yellow, Bottle Green, Sand, Red, Bordeaux, Orange, Grass Green, Royal Blue, Pink, Hunter Green, Metallic Blue, Melange Gray, Brick Red, Grafite Gray, Purple, Sky Blue, Brown. Available colors for kid's tee: White, Navy Blue, Yellow, Red, Royal Blue, Pink, Sky Blue, Black, Bottle Green, Sand, Red, Bordeaux, Grass Green, Orange, Melange Gray. Available colors for women's tee: White, Navy Blue, Black, Brick Red, Pink, Sky Blue, Red, Royal Blue, Dark Brown. Printing techniques can vary depending on the design and are the following: screen printing, vinyl printing, transfer printing, screen printing transfer. Most of tees are on demand.